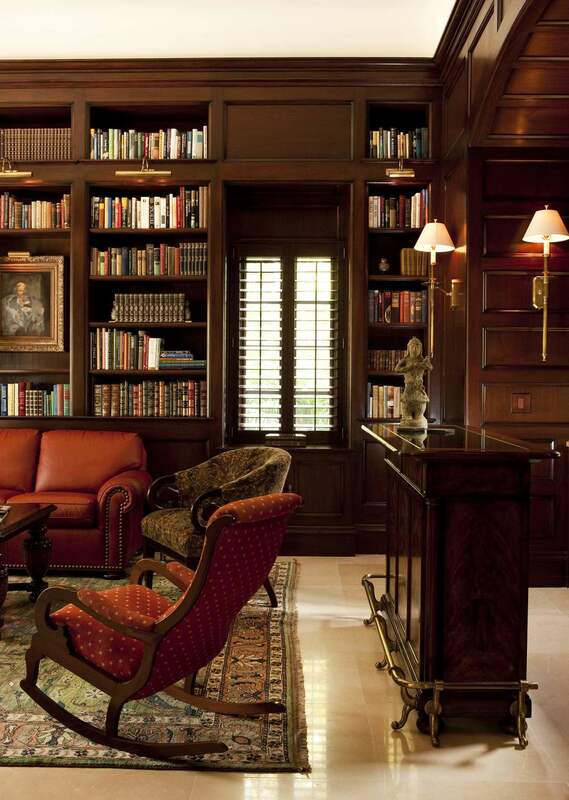 Coral Gables Hacienda — Taylor & Taylor Inc. 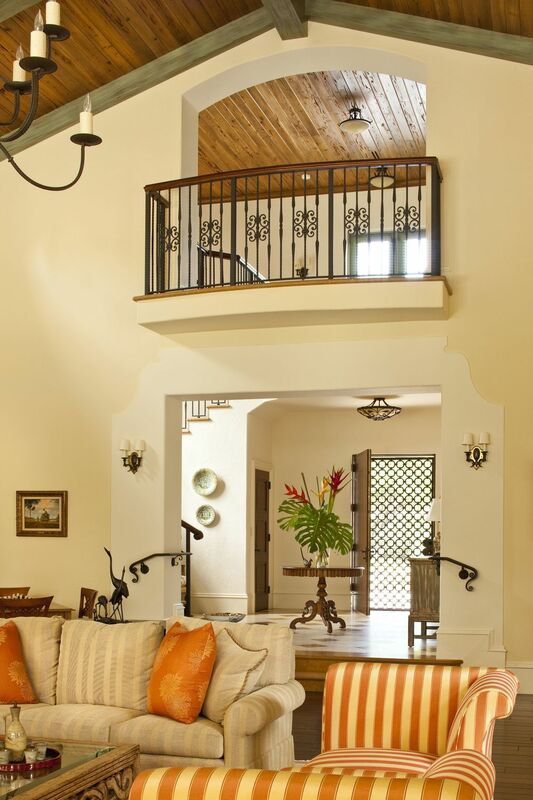 This home is situated on 1.5 acres of tropical hammock beside a lake, in southern Coral Gables. In keeping with local tradition, the style of the architecture is Spanish, and is inspired by the designs of George Washington Smith and Wallace Neff in Southern California. The roofs are genuine, hand made barrel tile. It's a large house - 10,000 square feet and sixteen rooms. 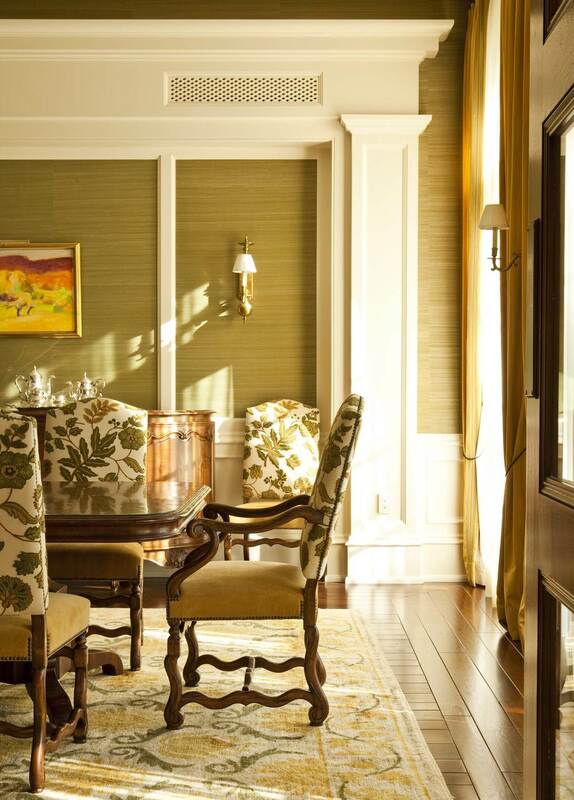 The clients wanted a quintessential Florida living space, a Florida Room, protected from the sun. A formal two-story living room with a minstrel;s gallery and porthole windows provides a second area for entertaining. It was inspired by a 40-foot-long room the owner's grandfather had built in Arkansas in the 20's. The coral rock fireplace was inspired by a similar mantel in the Al Capone suite at the Biltmore Hotel. Tangerine and Avocado tones used throughout are intended to evoke the beauty of nearby fruit groves.